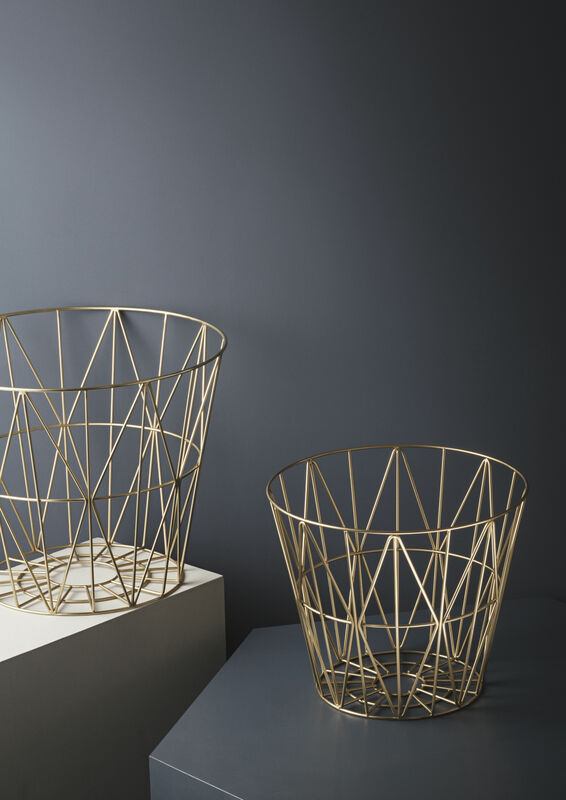 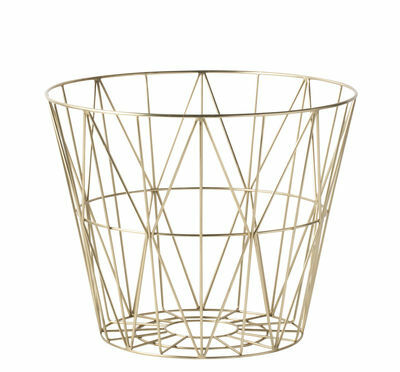 This multifunctional wire basket is plated with shining brass that is bended in decorative and graphic lines and it comes in three sizes. 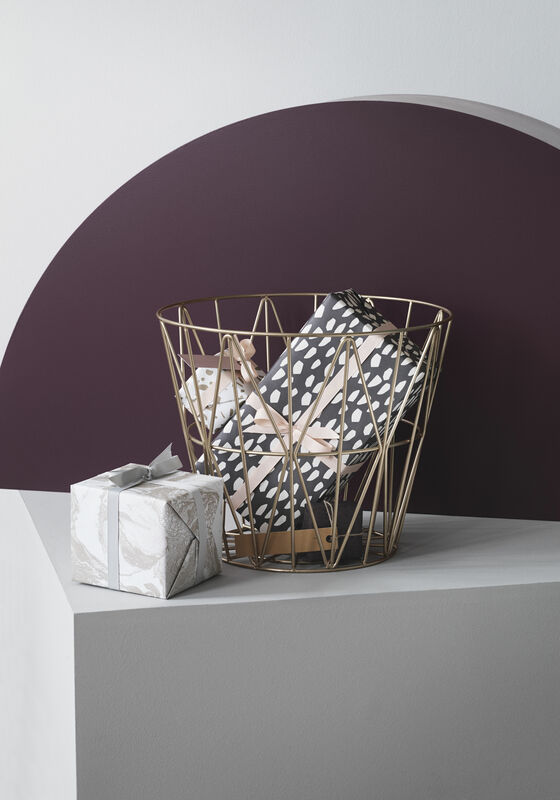 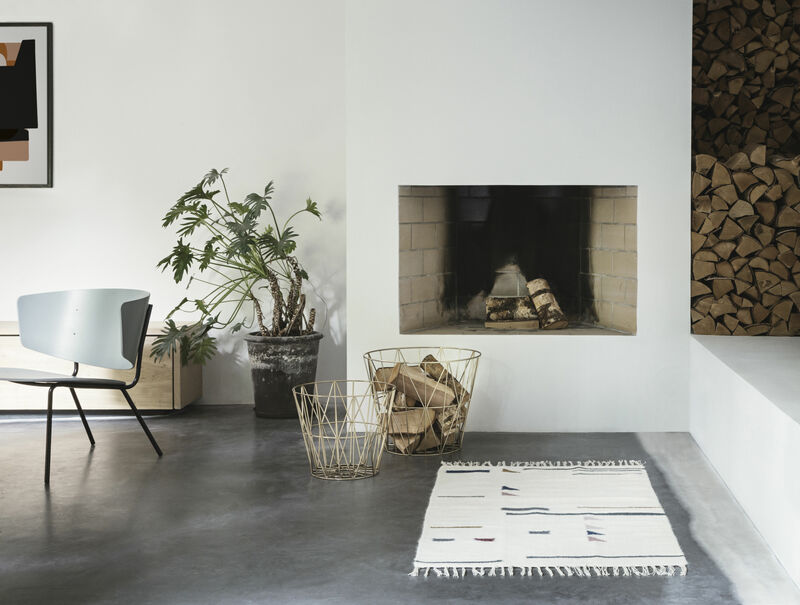 The baskets can hold whatever you want them to – and you can fill them with blankets, cushions, firewood, yarn, magazines, toys, laundry, warm woolen socks or anything in between. 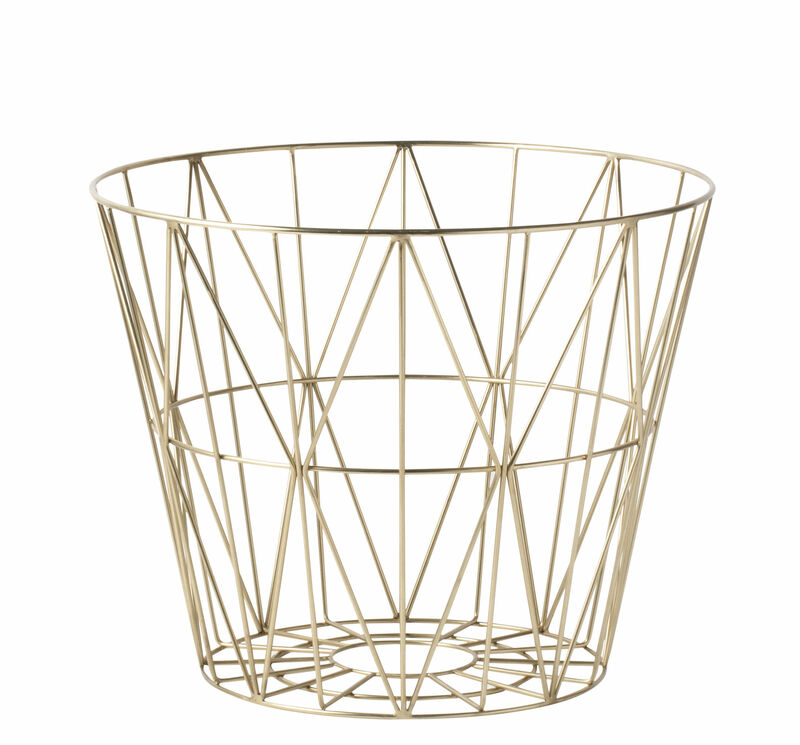 Consider adding our wire basket tops to turn the baskets into tables.